Still, timing can be frustrating. 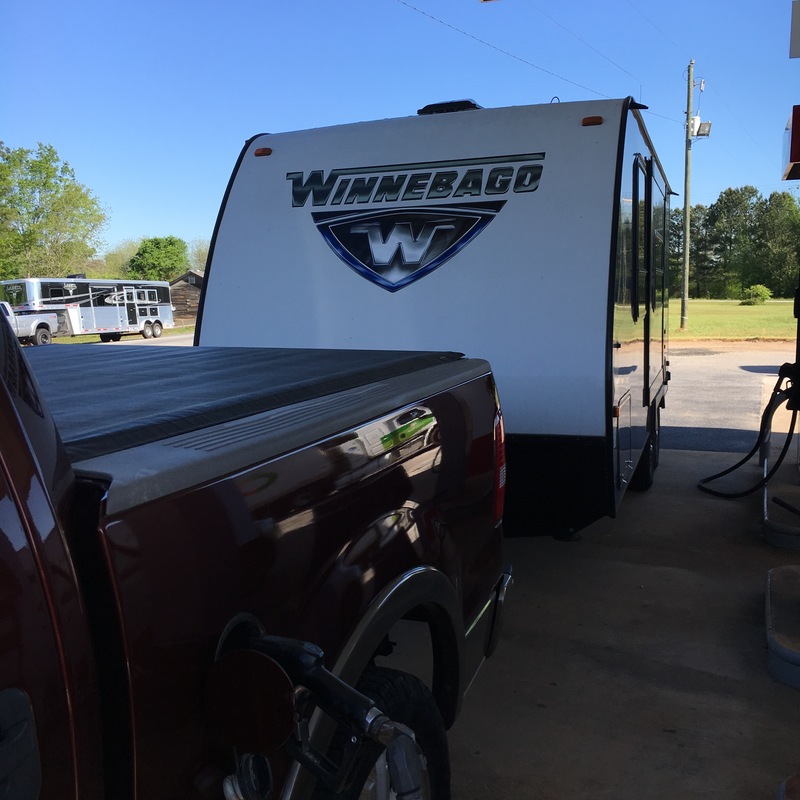 Each year I select tournaments to attend. I rank them A, B or C events based on the importance of the event and what I am focused on for a specific competition. 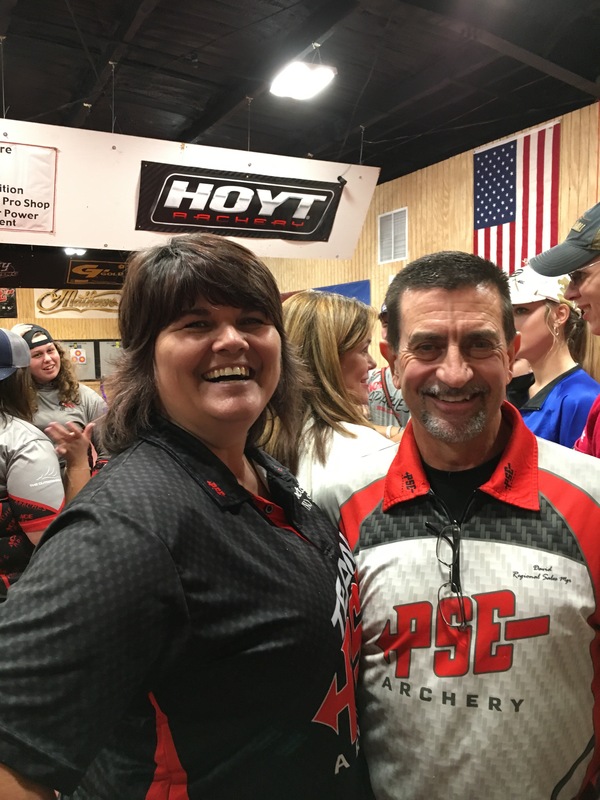 The ASA Leupold/AAE Pro Am was a full bore big ‘A’ tournament. Sometimes we make changes in our plans when if comes to friends and family. There will be other major events. Rather than being on the range at Wild Wood this morning I was on my range here at home. There were no arrows zipping through the air, to pops of foam animals being smacked, and no cracking of spines when arrows fly wide of the mark and banged into a tree. Instead, if was a peaceful stroll with my dog during which I gave a few minutes thought to the happenings just down the road. I am already thinking ahead to 2019. 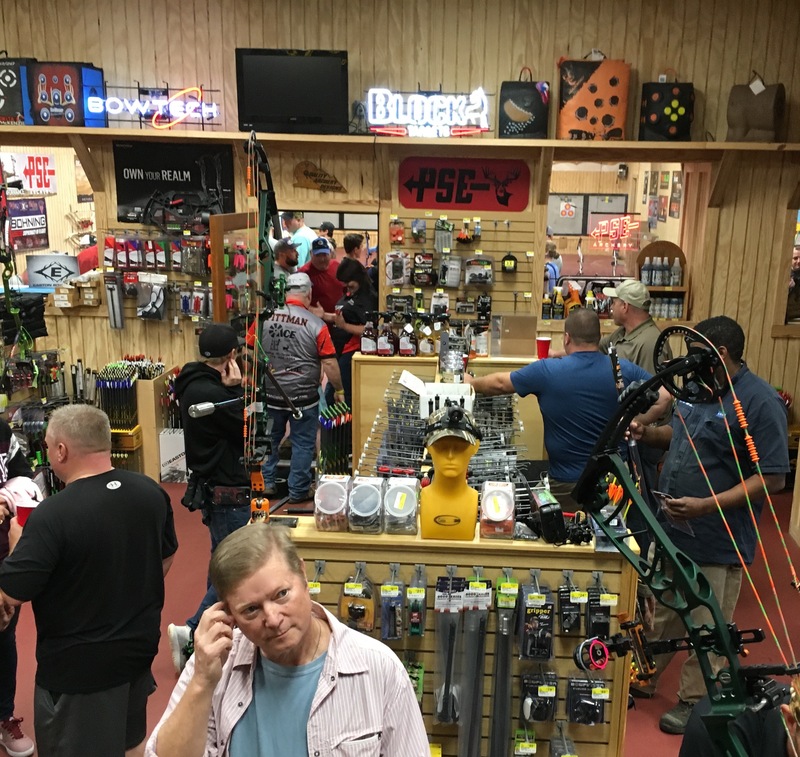 Recently, I attended a “Meet the Pros” gathering at a local archery shop. There were a lot of Professional archers at the event. Sadly, I didn’t meet any of them. I didn’t stay at the event long. I’d ordered Chinese take food at the restaurant next door and I was starving. I hung around as long as my stomach allowed. The indoor range is packed with Pro archers and fans. I was pleased that the shop had such a large turn out to meet the Pros. The Pros were there, sitting in a line behind a barricade of tables. I felt awkward in approaching the tables, leaning over, and trying to initiate a conversation. I couldn’t bring myself to waltz the line in front of the seated Pros, extend a hand and say, “Hi, I’m David Lain. Who are you?” I suppose I could have read their names on their sublimated jerseys. Then, I could have said, “Hi, I’m David Lain, I see you are ‘Bo Anarrow’.” From that social adventure I remained apart. Rather than talk with the moated Pros I talked with the fans and spectators that were milling about the room. Whether or not the Professional archers might have been interesting conversationalist I don’t know. However, the fans and spectators where a pleasure and full of warm conversation. Talking with friends, Gretchen and David, as well as others from around the community was the highlight of the evening for me. For me, and perhaps had I hung around things might have been different, the event could have been “Hang Out with some Local Archers” and I’d have been happy. So, you got old, but they’re making you shoot with the youngsters. None of us are as young as we once were and we’re getting older. Those of us that have been involved in sports deal with aging in whatever ways are best for ourselves. Some athletes turn to coaching. Others quit being competitive. Some take up a new perhaps less demanding sport as a pastime. All sports that I am aware of have age groups wherein an athlete can compete against their peers. Archery provides the same arrangement. Archery does one thing I’ve not experienced in other sports. 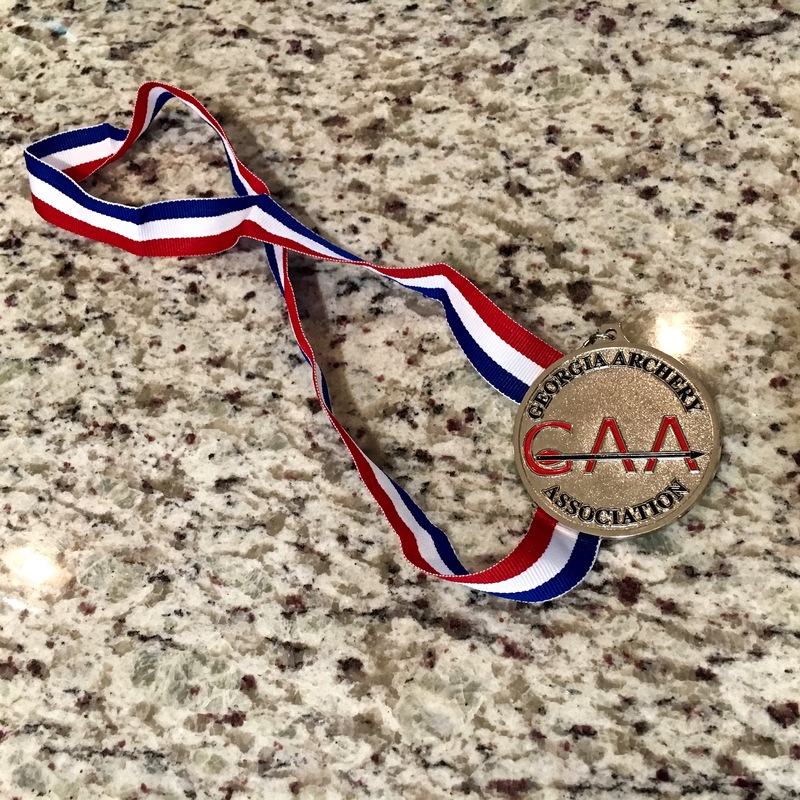 If an archer is in an age group that doesn’t have enough competitors, in archery, they’ll bump that athlete down to a younger and perhaps more competitive age group. I don’t think this occurs at a major tournament. For example, if a 90 year old found that she was the only competitor at a USA Archery event I don’t think they’d bracket her into the 50-year-old division. She can voluntarily move down to a younger class. 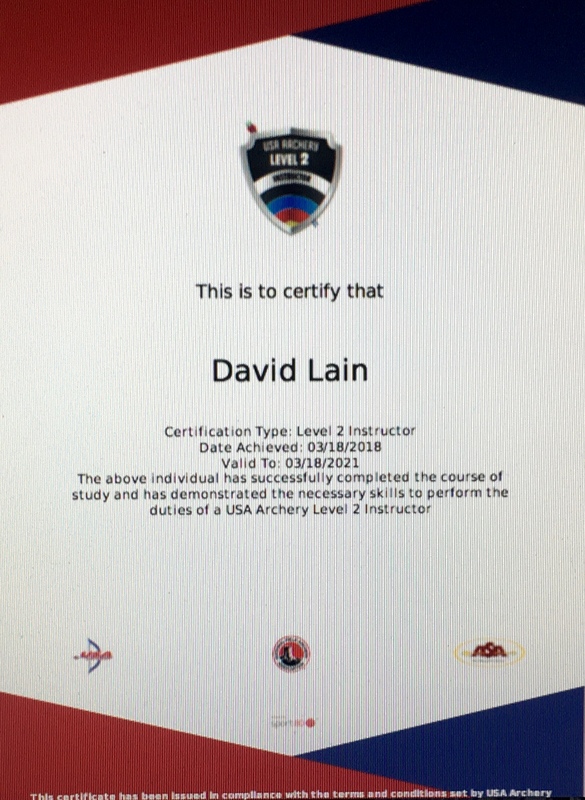 The result of the limited number of archers over 60 means that I more often than not am competing either in the Senior or Master 50 age classes. In fact, I compete in my age class only 13% of the time. Shooting against younger archers can’t become a problem for me. For some maturing athletes competing in classes they’ve already passed through is a problem. If it becomes a problem for you, you could end up with a defeatist attitude before letting your first arrow fly. Be assured, archery is one of the few sports where older competitors are pitted against younger ones. If you livelong enough it will happen to you – find your way to deal with it. In triathlon, for example, I think it would be tough to place if I raced against a 45 year old triathlete. 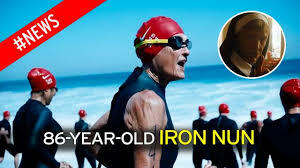 And just because an athlete “ages-up” that does not mean they get to race a shorter distance. An Ironman race is an Ironman, you can either do it or you can’t. Plus, there are cut off times for each discipline. That means you can’t be a great cyclist and awful swimmer and still make the cut. In archery, the tournaments sometimes decrease the distance Masters’ archers need to shoot to hit the target. Thus, they make it easier for the older folks to hit the target. That is not the case in triathlon or running. I mean, a 10K is a 10K no matter what your age. If it bothered me compete against archers younger than me I’d have trouble every time I shot with other people. I am almost always the oldest archer in the crowd. If you are lucky enough to have the problem of being forced into a class that you passed though, because you’ve out-lived your opponents, consider yourself fortunate. Shooting with younger people will help keep you sharp. And know this, at the major championships; there will be enough old people to go around. 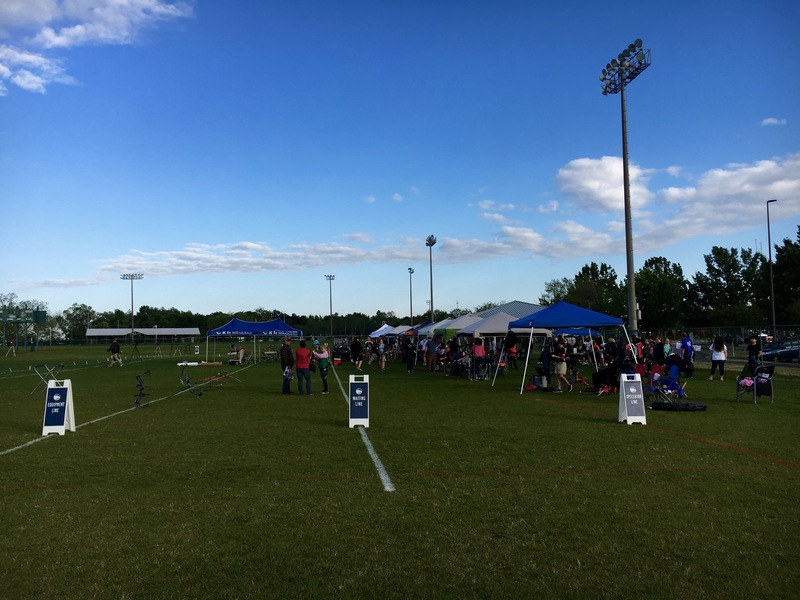 Author David LainPosted on April 26, 2018 April 26, 2018 Categories Archery, Archery Competitions, SportsLeave a comment on So, you got old, but they’re making you shoot with the youngsters. On Facebook I read a post by an older archer who complained of an event organizer that eliminated the Senior Hunter Class (IBO System) after a series of planned events had begun. The writer of the post is one of the Senior (over 50 years of age) archers impacted by the decision. He was not pleased with the event organizers dropping a class wherein he’d been competing since the initiation of the competitive series. From what could be gathered throughout the Facebook conversation regarding the elimination of the Senior Hunter Class, it appeared there were not enough Seniors competing to supply a large enough pool from which to have a winner surface. The set of Seniors included three archers. I do understand that having only three Seniors means there is a guaranteed place for each archer: 1st, 2nd, and 3rd. The organizers reasoned that was not enough people to truly make for a serious competition. To some degree that is true. However, the organizers opened the class at the onset of the tournament series and as such should have kept it open until the finale. Instead, well into the series they combined the Senior archers with the Men’s Class (men 21 to 49 years old). The unilateral decision to drop the Senior Hunter Class angered those Senior Hunters that had been competing against each other. The anger, in this situation is warranted. The move to drop a class of shooters after an agreement to open the class was wrong. On the other hand, I understand that if only 3 archers show up then that is not much of a competitive crowd from which to have an eventual champion. But, the archers can only compete against those who show up. It is not there fault if organizers have not created a market incentive to draw more shooters. 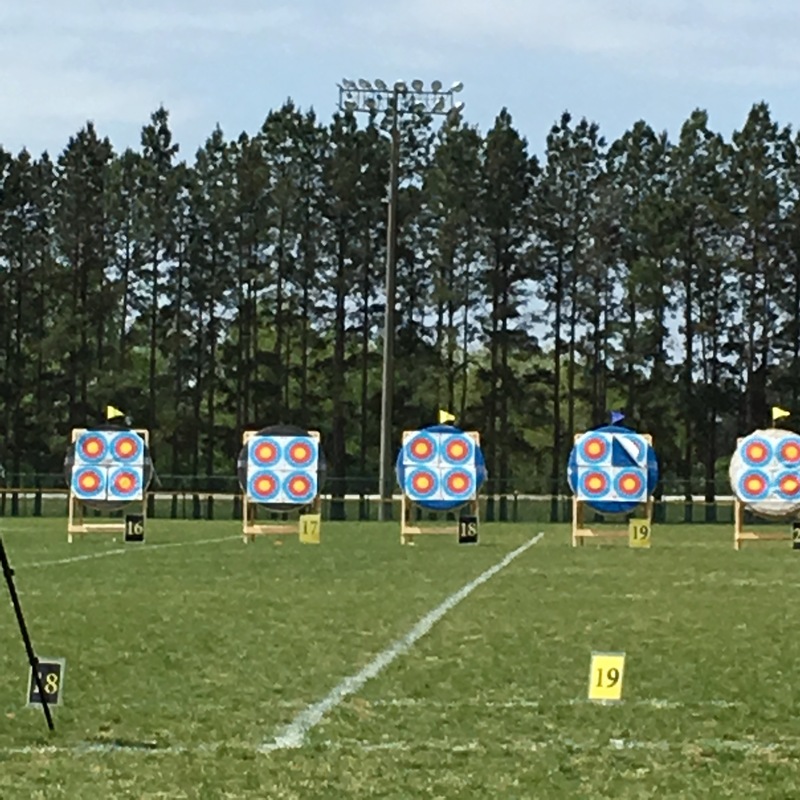 It boils down to this: The organizers had a duty to keep the Senior Hunter Class open through the event series regardless of how many archers competed in the class. The Georgia Cup, in Statesboro, Georgia was held at the Georgia Southern University campus this past weekend, March 21st through March 22nd. I was really hoping for a win. I’d certainly been putting in the hours practicing. But, then, there’s too often (here in 2018) that guy. Early morning crowd setting up for a long day. At the Georgia Cup, that guy was Paul. Paul and I typically do not compete against each other. Heck he’s not much older than my oldest daughter. We’ve competed near one another a few times in the past. We’ve talked a little during those events. This weekend we talked more, we had plenty of free time between ends to wait and talk. You’ve probably said this yourself, “It’s a small world.” In the case of Paul, I am still smiling at how we run into people that when there is time to talk great discoveries are made. Certainly, the first thoughts to such the comment must have led to “that poor man, he must have had some terrible disease which he survived thanks to medical care he received at Memorial.” I quickly added, “I started working there, in the lab, when I was 14.” That is true. I was a smart-ish geek and was recruited to the lab to learn by the head of Pathology. After a few months I had a Child-Labor Work permit and was employed doing simple things. Those things became more complex over time. During that time, I spent a total 14 years at Memorial; I learned while talking I’d worked with Paul’s parents. I remembered when his mother has pregnant with Paul. I admit, I am still smiling thinking of his parents and one of his brothers that came to work at Memorial before I left. The shooting was fun, talking to Paul was worth the trip and expense even more so that the competition. On the second day, the Olympic Round, Paul and I ended up shooting in the Gold medal match. Paul had been on all day. I struggled a bit in the quarterfinals and had to come from behind to win. In the final, I couldn’t believe I was paired against Paul. With six arrows to go, I had a four-point advantage. Paul joked with me that he was going to have to go home and, “..tell my mother that David Lain beat me.” That was not to be the case. On the final six arrows, Paul hit five tens and one nine. I fell apart meaning he could go home and let his mother know he’d beaten an old colleague of hers. It was windy. 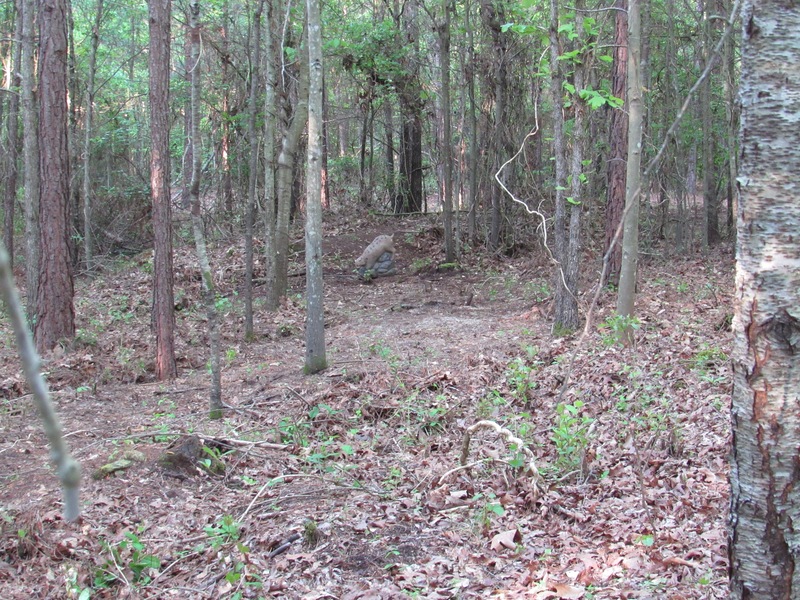 Target 17, where I shot on Saturday, notice our flag has blown away. Also, target 19 pulled free of one of the pins. 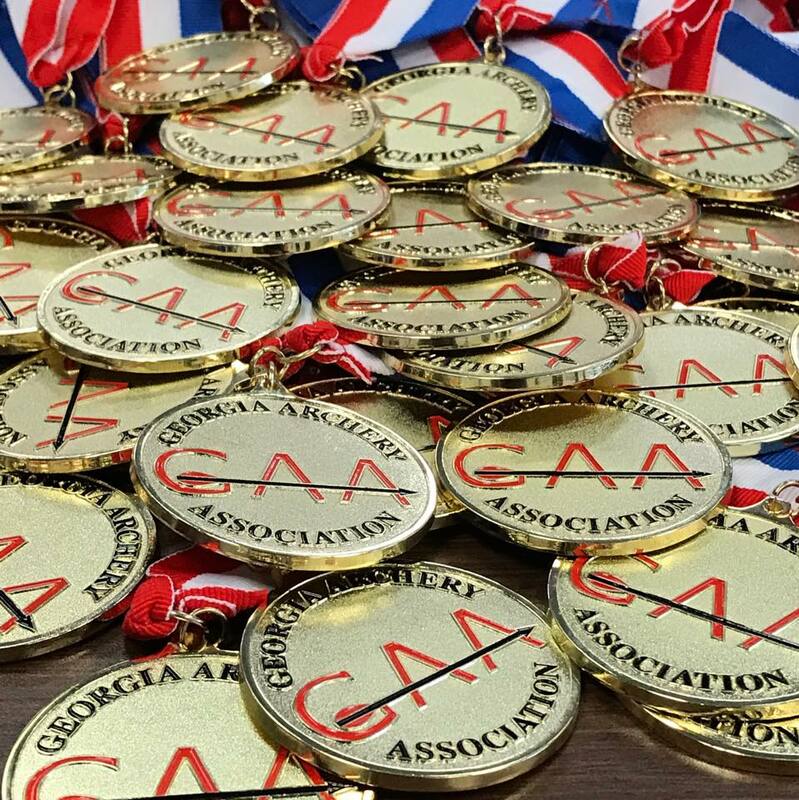 Years from now I will not remember this Georgia Cup for the archery. I will remember it was extremely windy. Aside from that I’ll remember the pleasant walk down memory lane with man who’s mother remains a respected and admired scientist I was fortunate enough to have worked with. 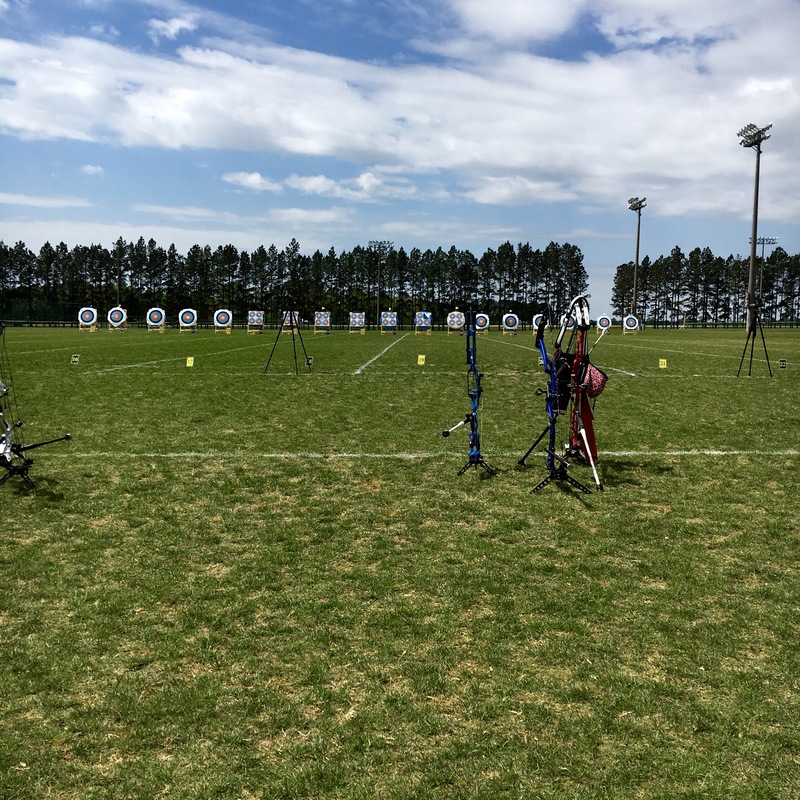 Author David LainPosted on April 23, 2018 April 23, 2018 Categories Archery, Archery CompetitionsTags 50 Meter, Sports2 Comments on Beaten, Again! 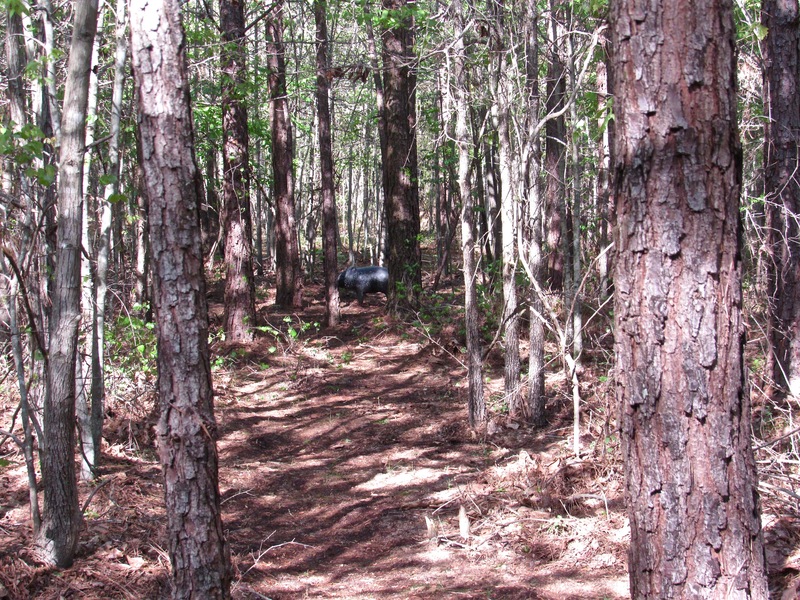 When we moved here to Good Hope, Georgia a challenge we had was to convert an over grown forest into a Park-like recreation area. It is slowly coming along. Two of the major elements included a 3D range and a target range. The 3D range has evolved and only two more foam-animals need a home. 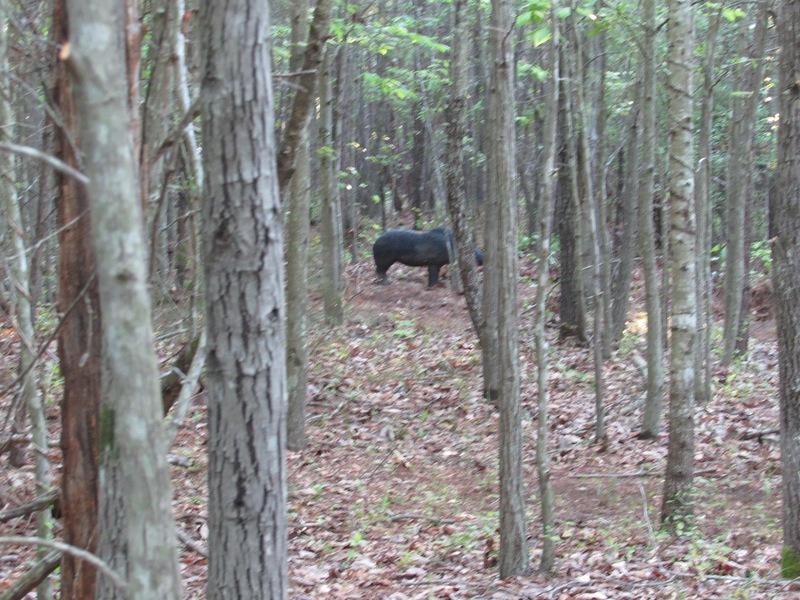 Well, one, a boar, is up as of yesterday. But, I’ve only cleared a lane to shoot the critter. The approach for pulling arrows is going to come from another approach. 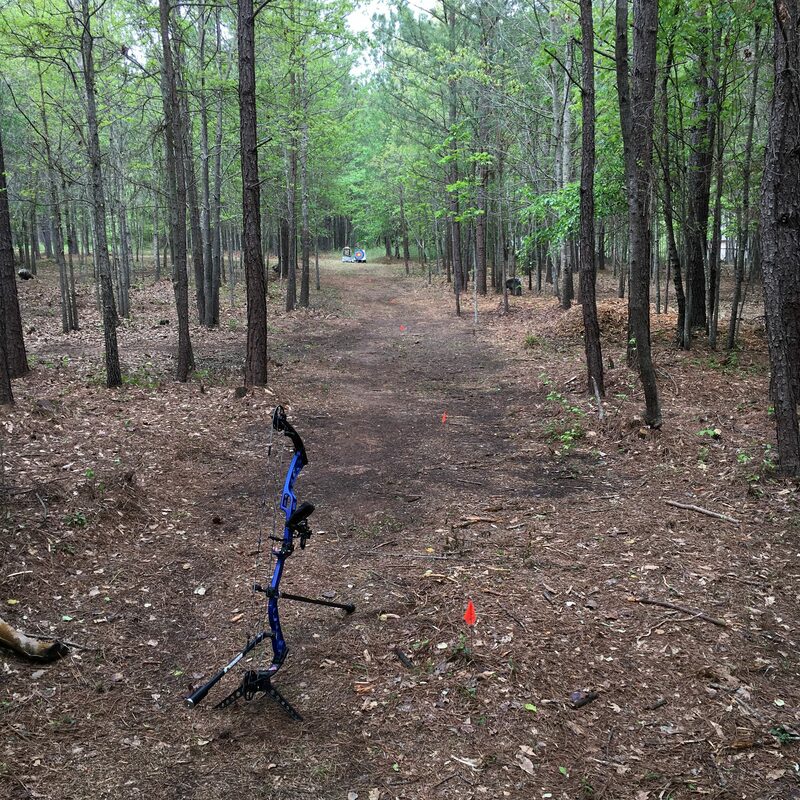 This way the natural ground between archer and target is undisturbed. 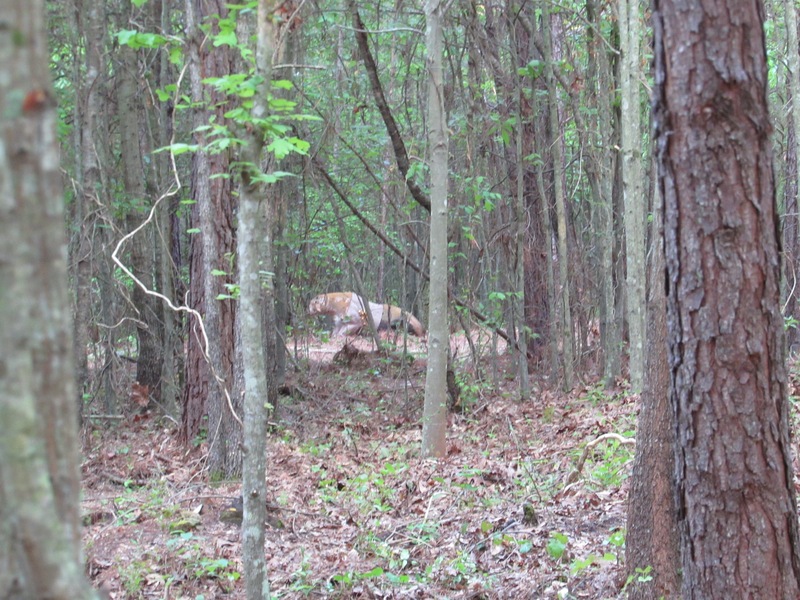 I had a deer up but moved it to make room for 55 – 70 yards. The deer was in the way. The deer will need to have just the right position. 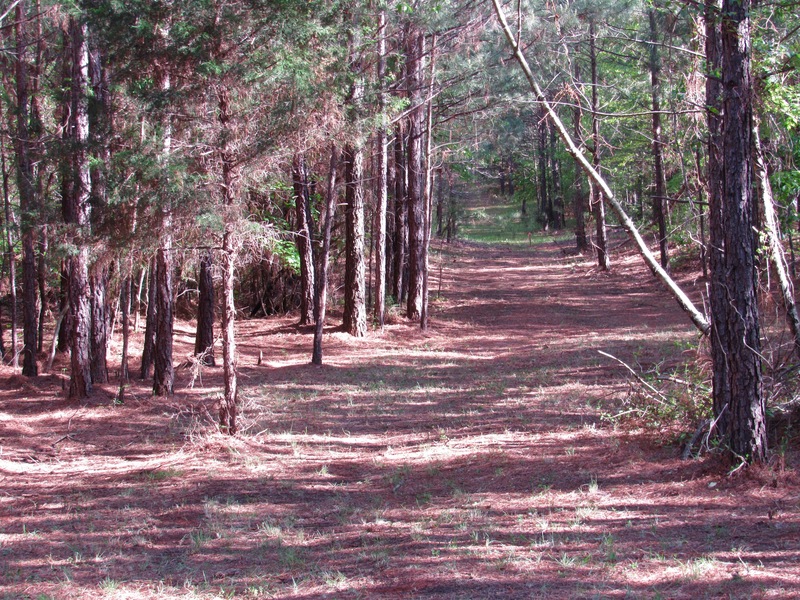 Another nice element to the park is a running trail. 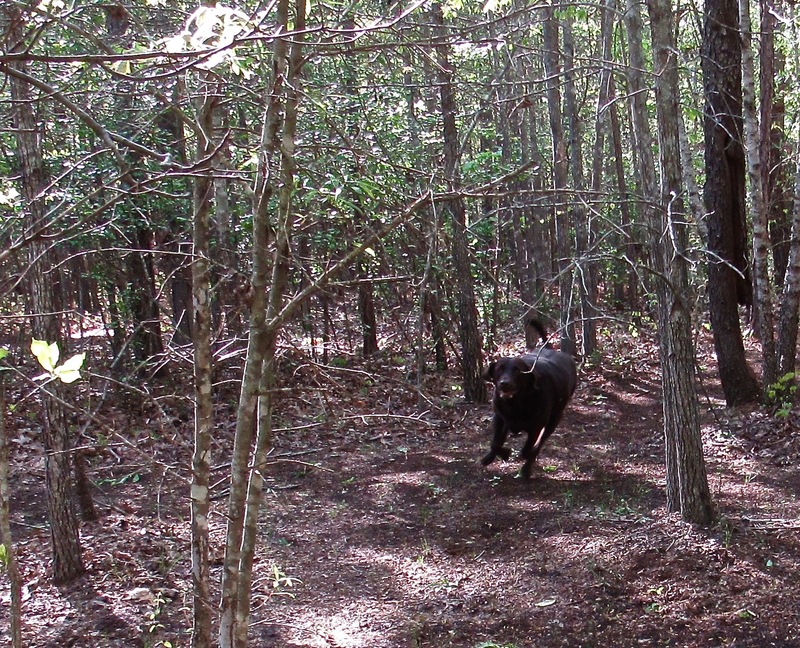 River, my lab, runs with me. 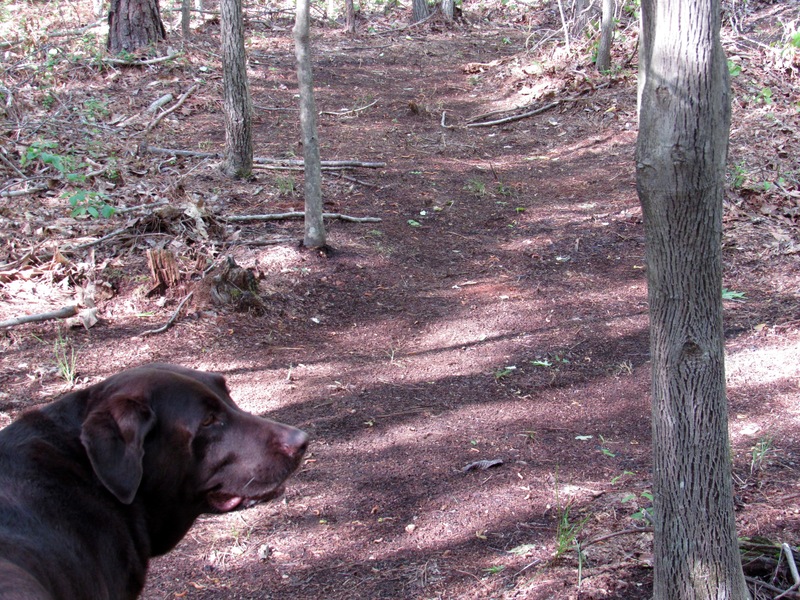 Running in a neighborhood, on public paths, or on sidewalks means she must be on a lease. 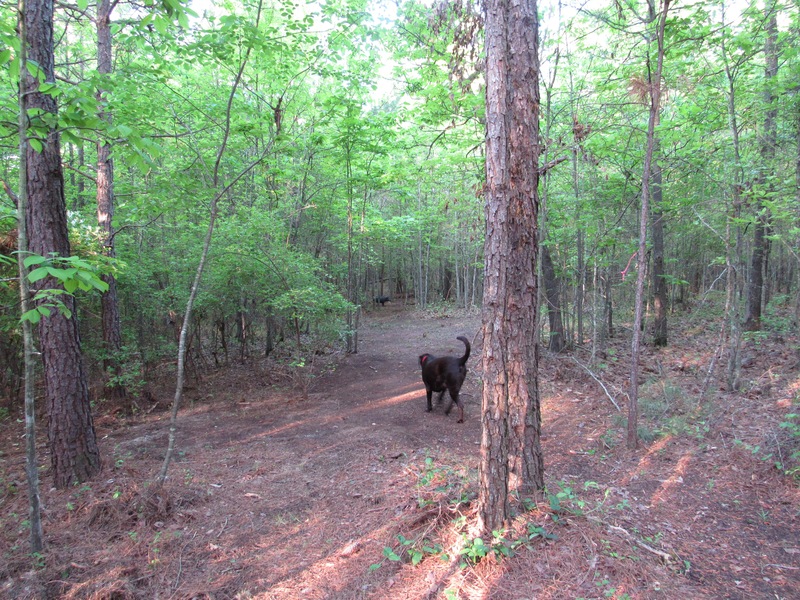 We now have a trail run behind out house that is about a mile per loop. River can run untethered. A bonus is that I don’t need to worry with poop clean up. The new park is already great for hikes. Brenda and our two dogs often do a “walk-around” in the park after dinner. Both dogs are free to run in our park. I’ll probably put a picnic table somewhere in the middle of the park. It is a lot of work. 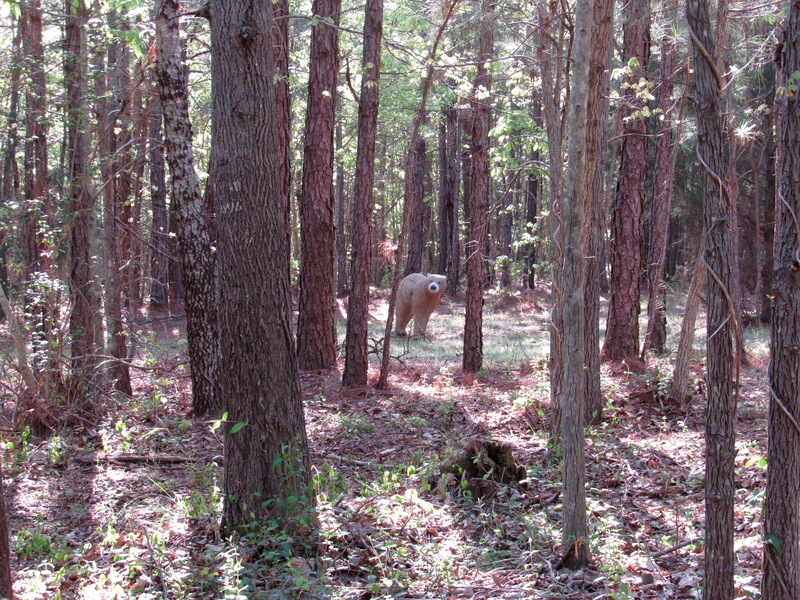 But, being out in our woods is worth the effort. Periodically, I check this site. 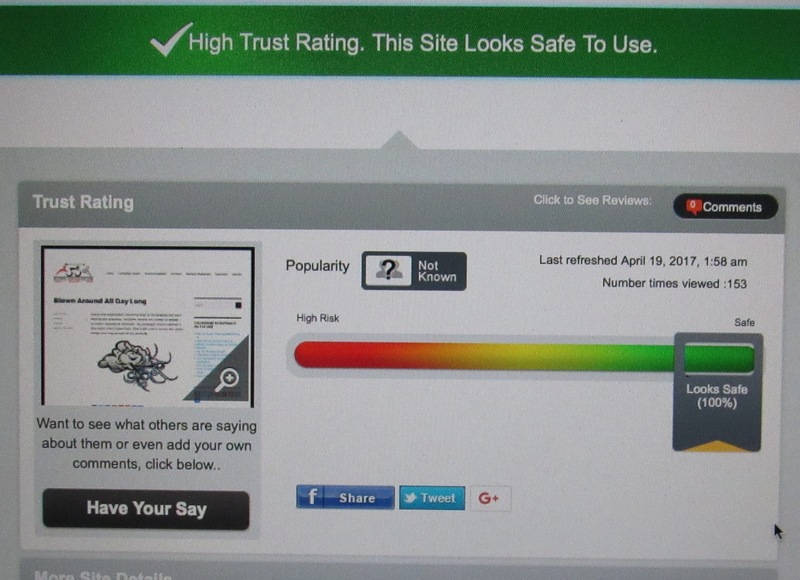 The areas covered in the check include reader stats, Alexa ranking, safety (verifying the site hasn’t been hacked by some nefarious individual or organization) and other reviews available via a search. Studying the stats about readers is easy – GoDaddy.com provides that data. Other data requires some hunting. Puttingitontheline is primarily about archery. 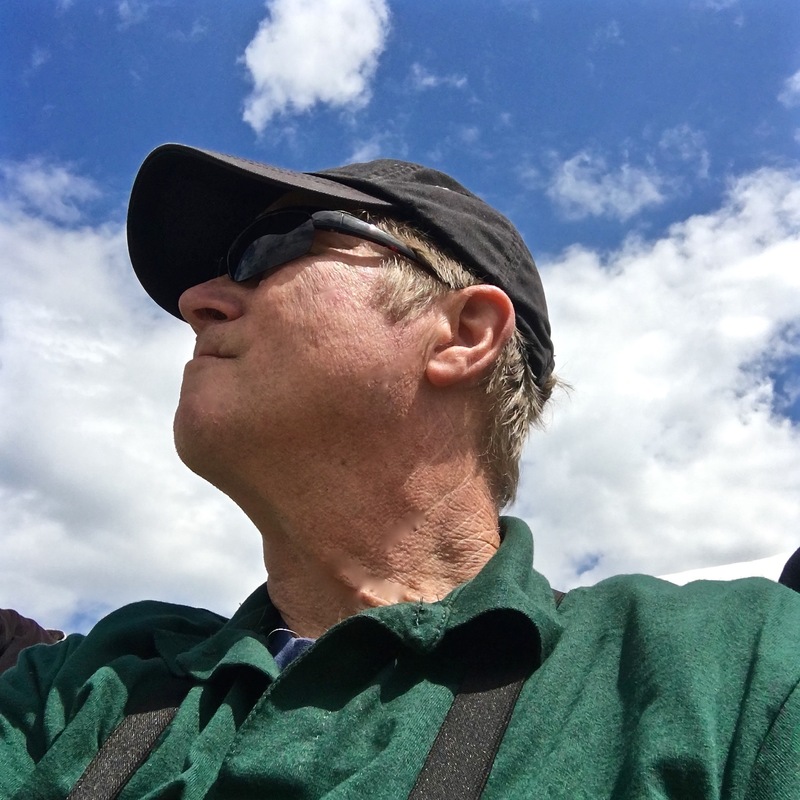 Drilling down, it is about a retired medical professional making a run at a new sport. The number one activity among retired men relates to sports. The bulk of those men “watch” sports as a pastime. Still others concentrate on their golf game, fishing, hunting, running, cycling, triathlon or other activity. I have one friend that retired early. He was not an athlete. After retirement he started running. The last time I spoke to him he’d run 53 marathons including, New York, Chicago and Boston. Archery is a growth sport – it is growing thanks to lots of popular movies that have super hero archers. Women seem to be a major growth section of archery. There also seems to be a lot of younger people in the sport thanks to programs like JOAD and 4H. I know of 16 and 17 year old archers, certainly greater shooters, which have already signed deals with major archery manufacturers. This is a bit like Nike signing a high school runner without the shoes or money. The younger archers really aren’t my demographic. Certainly, archers younger than 50 read the postings here. But, the bulk of the readers are not youngsters. According to data on this site it is popular. The readers aren’t younger they’re older. This suggests a lot of older that may be new to the sport coming here for information and stories. It suggests to me there is a market segment of archers over 50 that I believe aren’t getting the same degree of attention by archery manufacturers as the youth. There are some great archers over 50 that do have a high level of industry support. Many of them have had that support for years. When it comes to newly minted “Pro” jersey wearing master archers, the few I spoken to have paid for that jersey. Most of them compete as a pastime and aren’t earning much if any money shooting. There seems to be a lot of them. Stats from April 1 – April 7, 2018. It takes about three minutes to read a post and look around this site a bit. I think there is an untapped market among the Masters archers. Archery is a sport where age is a relatively independent factor. That is, someone over 50, in my opinion, can become an elite archer. Within the readership of this website, I believe more than a few of those future elites are out there. This was a bit of effort. Classes, classroom tests, online courses with more tests and a background check. Glad to have this complete. 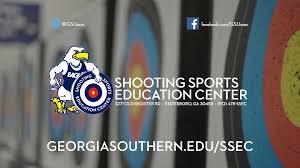 If you live in the Athens, Georgia area and are looking to try archery or are already into the sport and would like some help give me a call.